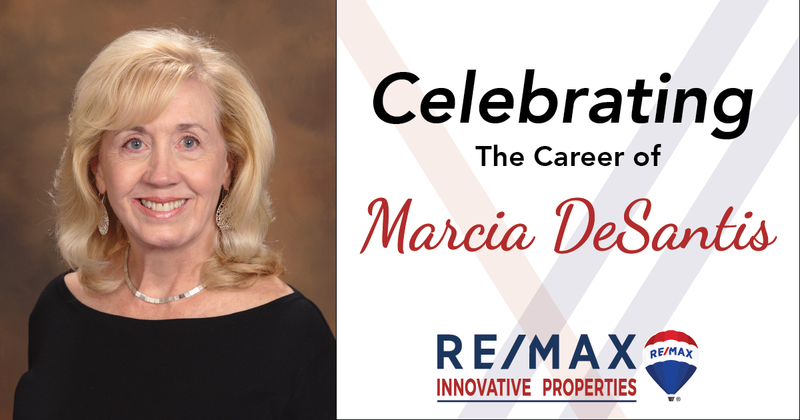 Today we celebrate the career of Marcia DeSantis, who retired on Thursday, January 24th after over 30 years with RE/MAX. Marcia joined RE/MAX Properties on January 20th, 1989 after a short stint with Century 21. She took a huge chance with a new upstart Company that no one had ever heard of. She was the 8th person to join a Company that attained #1 market share in our area in 1990 and held on to it for over 20 years. She attended dozens of openings of new RE/MAX offices, Regional awards dinners, top producer roundtables, other RE/MAX events throughout her career. She was also honored by the Greater Manchester Nashua Board of Realtors on numerous occasions over the years for her sales and listing production. She has achieved nearly every accolade that RE/MAX LLC had to offer over the years including inclusion in the RE/MAX Hall of Fame in 1995 and the Lifetime Achievement Award in 2007. A perennial top producer and numerous member of the RE/MAX 100% Club, Marcia was revered and respected in this area by her co-workers and her peers for her persistence, expertise, negotiating skills and overall kindness and caring. She always had time for anyone that wanted a word. She and her husband Jim have been married for 52 years, have 2 grown children and 6 grandchildren. We wish Marcia an absolutely wonderful retirement and thank her for all her years of dedication.